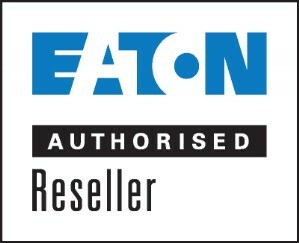 Eaton has a range of UPS systems suitable for network & server applications. 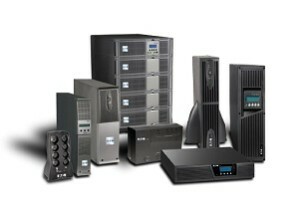 Salient Computing Services can provide a free quotation to get you started. -Eaton 5SC (5SC500i) 500VA / 350WEaton 5SC (5SC750i) 750VA / 525WEaton 5SC (5SC1000i) 1000VA / 700WEaton 5SC (5SC1500i) 1500VA / 1050W...Eaton 5P Tower ModelsEaton 5P (5P650AU) 650VA / 420WEaton 5P (5P850AU) 850VA / 600WEaton 5P (5P1150AU) 1150VA / 770WEaton 5P (5P1550AU) 1550VA / 1100WEaton 5P Rack 1U modelsEaton 5P (5P650iR) 650VA / 420WEaton 5P (5P850iR) 850VA / 600WEaton 5P (5P1150iR) 1150VA / 770WEaton 5P (5P1550iR) 1550VA / 1100W...Eaton 5SX (5SX1250AU) 1250VA / 1125WEaton 5SX (5SX1750AU) 1750VA / 1575WEaton 5SX (5SX3000AU) 3000VA / 2700W...Eaton 5PX (5PX1500iRT) 1500VA / 1350WEaton 5PX (5PX2000iRT) 2000VA / 1800WEaton 5PX (5PX2200iRTAU) 2200VA / 1980WEaton 5PX (5PX3000iRT2U) 3000VA / 2700WEaton 5PX 3U (5PX3000iRT3UAU) 3000VA / 2700W...Eaton 9130 (PW9130G700T-XLAU) 700VA / 630WEaton 9130 (PW9130G1000T-XLAU) 1000VA / 900WEaton 9130 (PW9130G1500T-XLAU) 1500VA / 1350WEaton 9130 (PW9130G2000T-XLAU) 2000VA / 1800WEaton 9130 (PW9130G3000T-XLAU) 3000VA / 2700WEaton 9130 (PW9130G6000T-XLAU) 6000VA / 5400W...Eaton E Series DX (EDX1000HA) 1000VA / 700WEaton E Series DX (EDX2000HA) 2000VA / 1400W...Eaton 9PX ModelsEaton 9PX (9PX2000iRTAU) 2000VA / 1800WEaton 9PX (9PX2200IRT3U) 2200VA / 2200WEaton 9PX (9PX3000IRT3U) 3000VA / 3000WEaton 9PX UPS RT2U ModelsEaton 9PX (9PX1000IRT2U) 1000VA / 1000WEaton 9PX (9PX1500IRT2U) 1500VA / 1500WEaton 9PX (9PX2200IRT2U) 2200VA / 2200WEaton 9PX (9PX3000IRT2U) 3000VA / 3000W...Eaton 9SX (9SX700I-AU) 700VA / 630WEaton 9SX (9SX1000I-AU) 1000VA / 900WEaton 9SX (9SX1500I-AU) 1500VA / 1350WEaton 9SX (9SX2000I-AU) 2000VA / 1800WEaton 9SX (9SX3000I-AU) 3000VA / 2700WEaton 9SX (9SX6KI-AU) 6000VA / 5400W...Eaton 9PX ModelsEaton 9PX (9PX5Ki) 5000VA / 4500WEaton 9PX (9PX6Ki) 6000VA / 5400WEaton 9PX (9PX8KiPM + 9PXEBM240) 8000VA / 7200WEaton 9PX (9PX11KiPM + 9PXEBM240) 11000VA / 10000WEaton 9PX 3:1 ModelsEaton 9PX 3:1 (9PX6KIPM31 + 9PXEBM240) 6000VA / 5400WEaton 9PX 3:1 (9PX8KIPM31 + 9PXEBM240) 8000VA / 7200WEaton 9PX 3:1 (9PX11KiPM31 + 9PXEBM240) 11000VA / 10000W...Eaton 9390 Blade UPS (ZC122P060100000) 12000W...Not sure - please contact me. By submitting a Request a Quote you agree to allow a repesentative of Salient Computing Services to contact you in relation to this request using either your preferred or an alternative contact method.